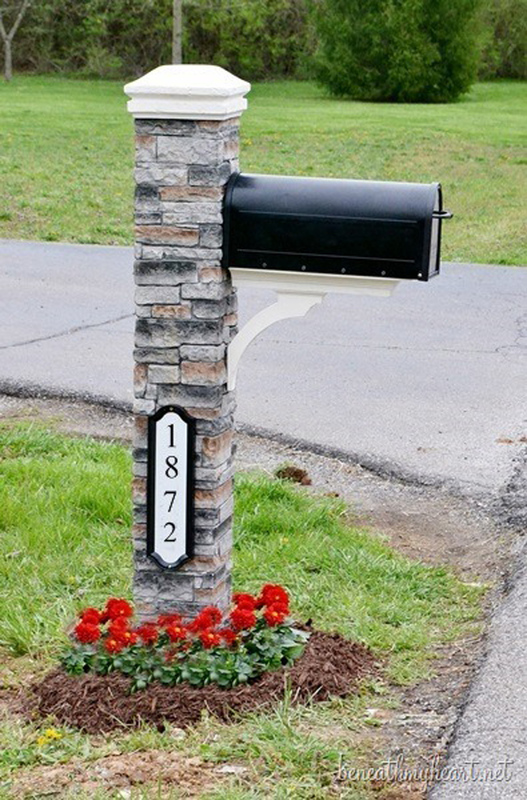 Is your front yard feeling a little bland or boring? 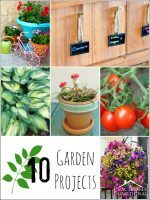 It doesn’t have to be time-consuming or expensive to add a little color and interest to your porch, patio, or front yard. 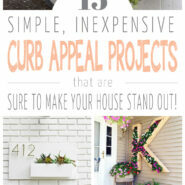 Boost your curb appeal with these 15 front yard landscaping ideas! 1. 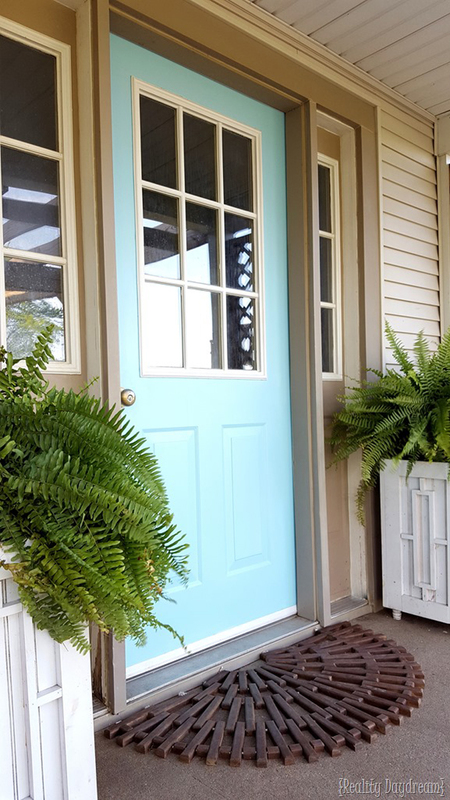 Your porch will go from drab to amazing with container planting! The front entrance is the first area of your home that your guests see when they come to visit. 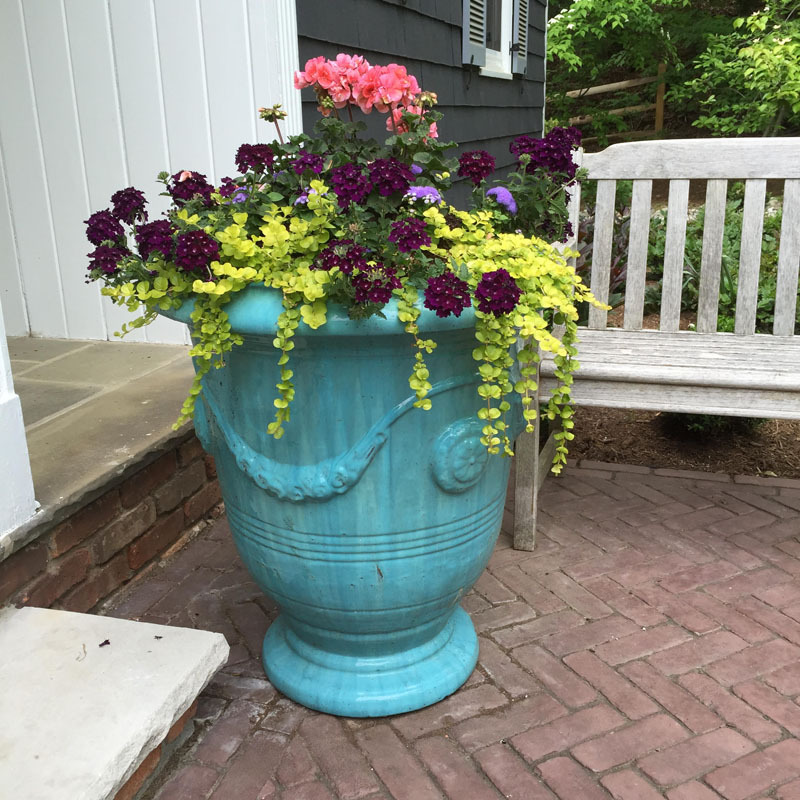 One of the best ways to give your home a gracious, eye-catching entrance is container gardening. 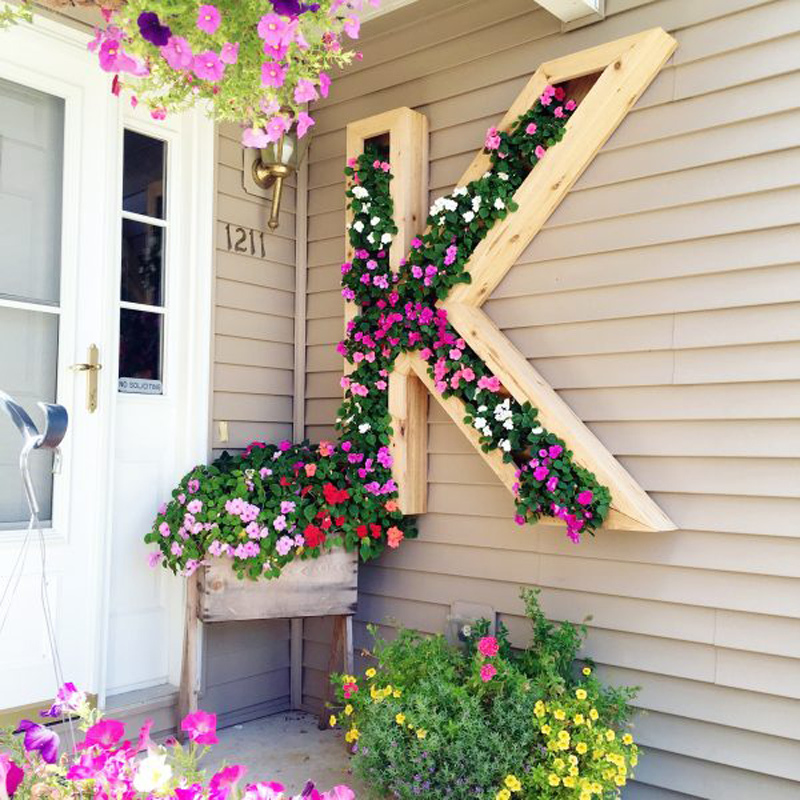 It’s a super easy way to dress up your front porch! See the full instructions on Susan Cohan Gardens. 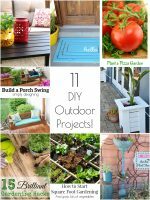 Are you looking for a fun and fabulous DIY project? Well, this is the right one for you! 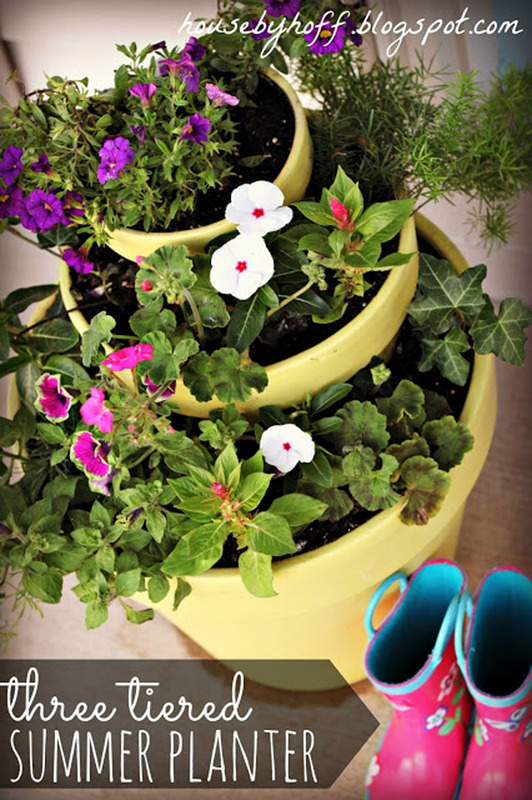 Bored with pots you use for container gardening? 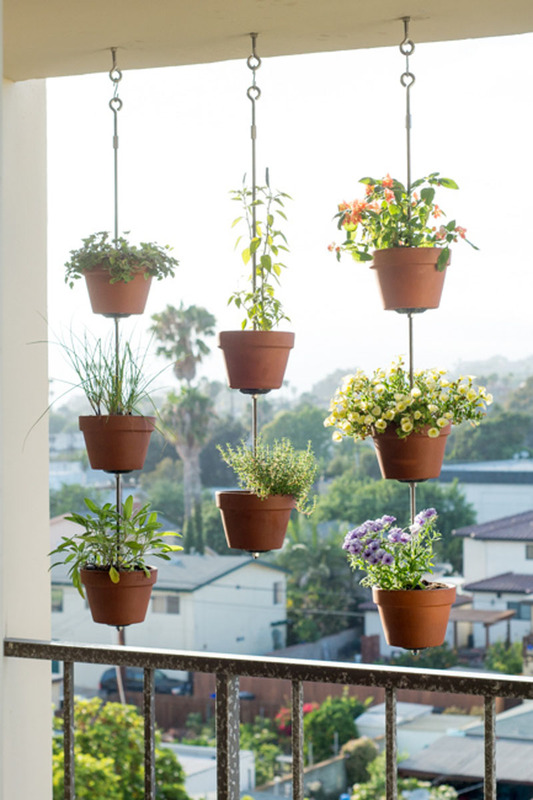 Take it to the next level by turning them into a beautiful hanging vertical garden that’s perfect for your porch. 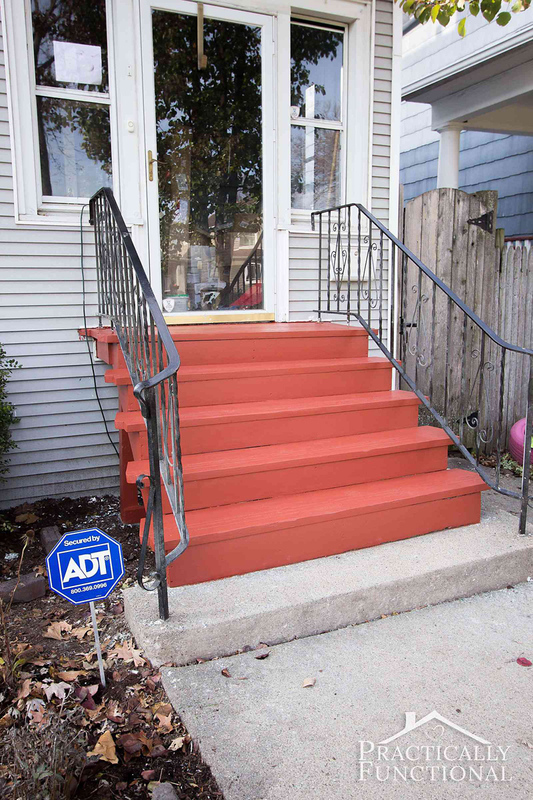 This small project will instantly improve the look of your home. Aside from that, it also makes a great privacy screen! Don’t you think? 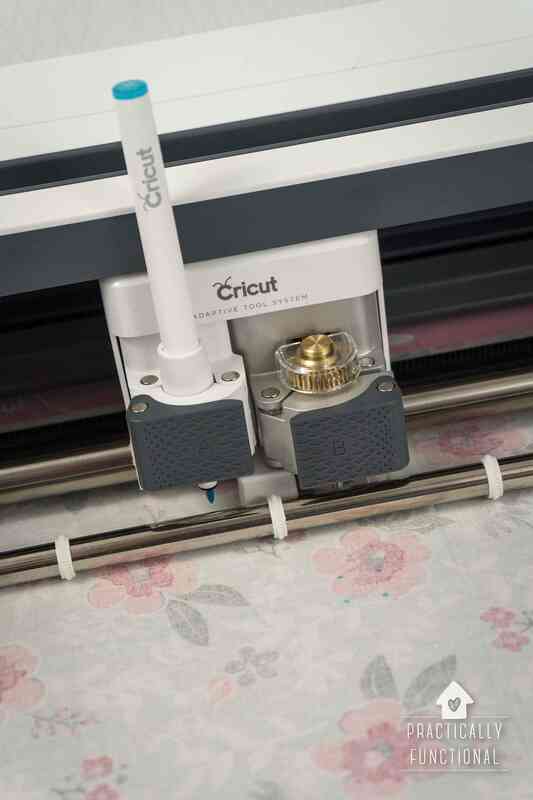 See the full instructions on The Horticult. If you are looking for a simple way to bring height and dimension to your front porch and pathways, make a stunning flower tower using terracotta pots. It’s easy to do and makes an extremely beautiful piece. Add a bird bath and feeder at the top to attract your feathered friends. See the full instructions on House by Hoff. You don’t want your house to look like all the other houses on your block, right? 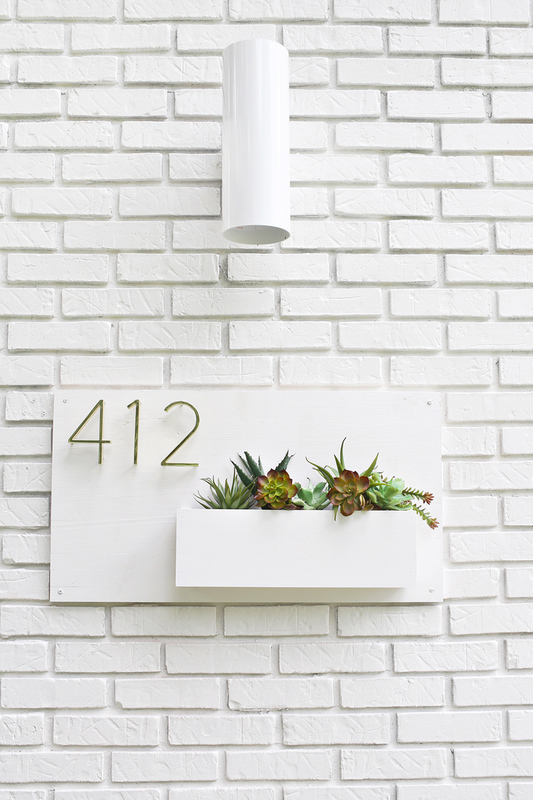 So why should your house number? This tutorial from A Beautiful Mess makes such a great impact from the street and adds that modern style to your decor. This will definitely have your guests in awe! This would also look great with fake blooms if you don’t want to have to maintain real plants. How awesome is that? See the full instructions on Ellery Designs on Remodelaholic. 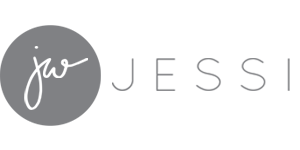 Your steps requires a certain amount of maintenance to keep them looking shiny and brand new. Believe me, this will definitely make a huge difference to the whole look of your home. So say goodbye to cracked and peeling paint and hello to the new gorgeous red stain! Sometimes a good combination of new furniture and decor can be enough to spice up your exterior design. But there’s nothing quite as impactful as actually taking a brush to your concrete and doing a whole slab makeover. Plus stripes just never get old! Look how cute that porch is. 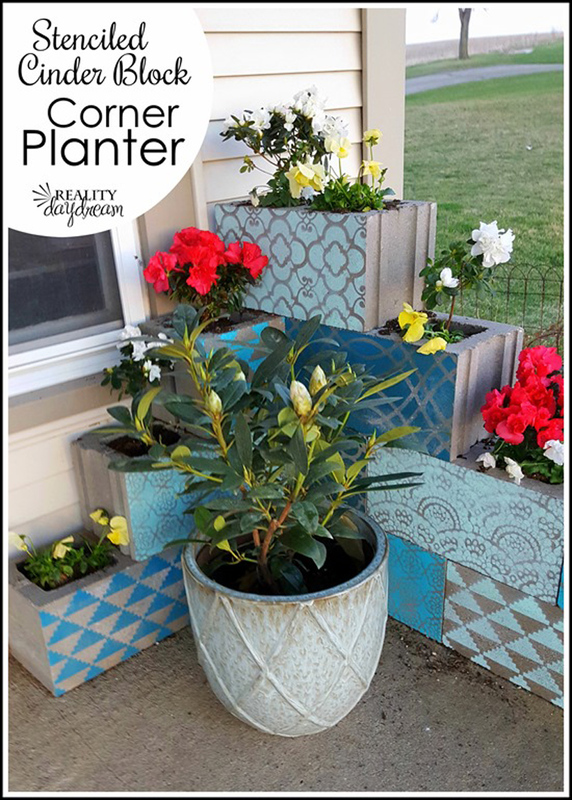 All you need are some stencils and brightly colored paint to transform these drab chunks of concrete into fabulous artsy planters. Adding character to your outdoor space doesn’t need to be costly or time consuming. See the full instructions on Reality Daydream. Don’t you love the special feature of this planter? 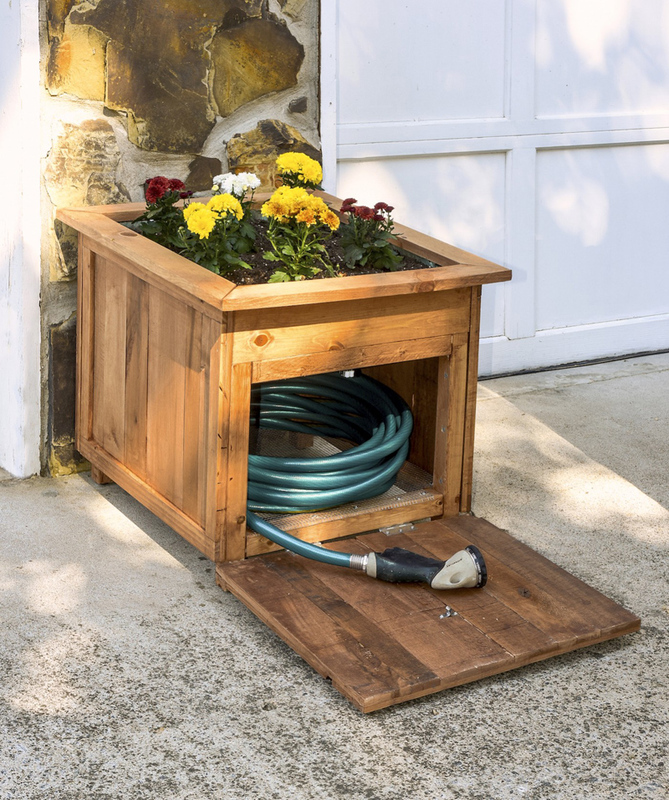 Such a smart and good looking way to hide your garden hose! You can add any flowers you want at the top and no one will ever notice that it’s also a hose storage. So cool! See the full instructions on DIY Candy. 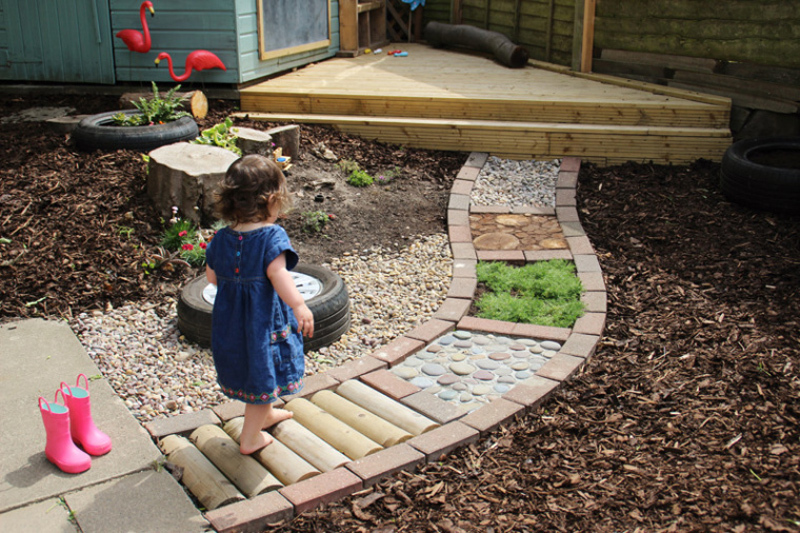 Don’t overlook your garden pathways! Add that fun factor by adding different textures, and experience that freedom when you kick your shoes off. Your kids will surely enjoy this! See the full instructions on Play at Home Teacher. Checking your mail has never been so enjoyable! Even your neighbor’s Chihuahua will be too impressed to pee on it. 🙂 Try recreating this style from Beneath My Heart. 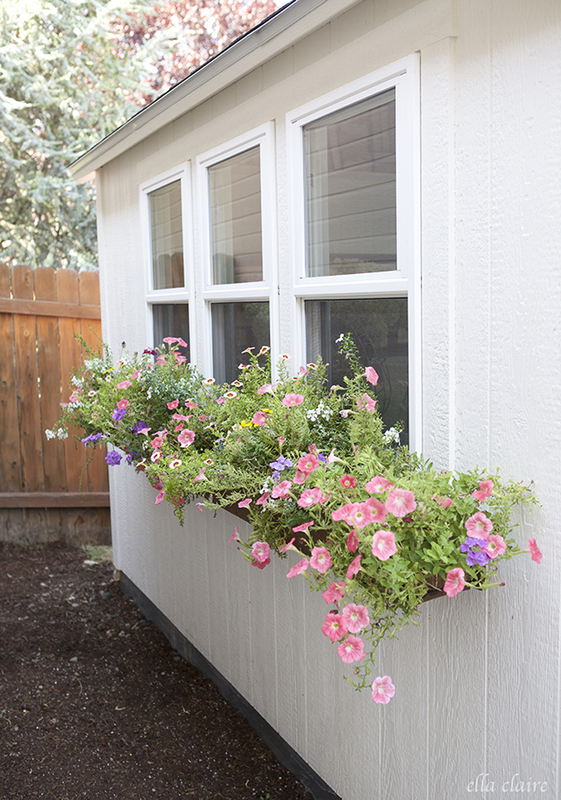 A lush window box spilling blooms brings that extra charm that a new paint job doesn’t quite equal. Bonus points if you can view the window box from indoors as well. See the full instructions on Ella Claire if you are inspired to build your own. Do you have a fun inviting door mat? 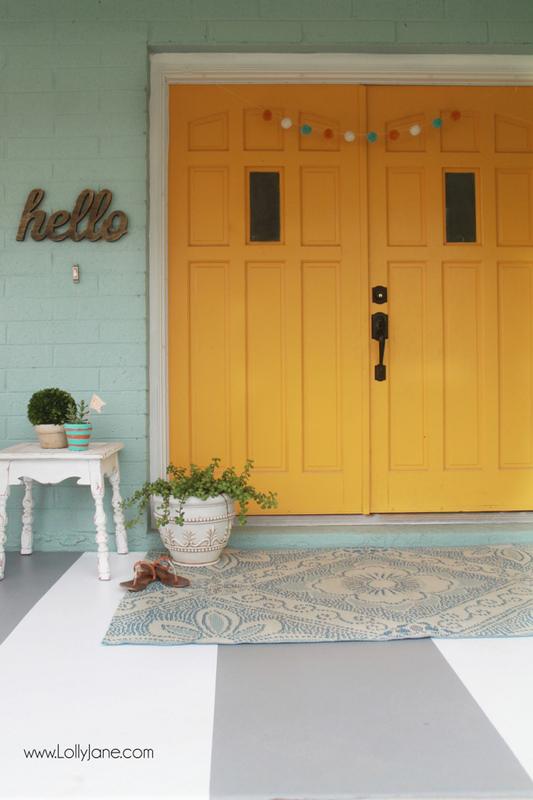 Try this popular rounded wooden doormat project from Reality Daydream. Incorporate a little wood texture to your spaces to balance the complete look of your home. 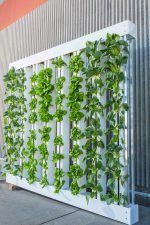 This slatted mat is sturdy and lets water drain right through easily. 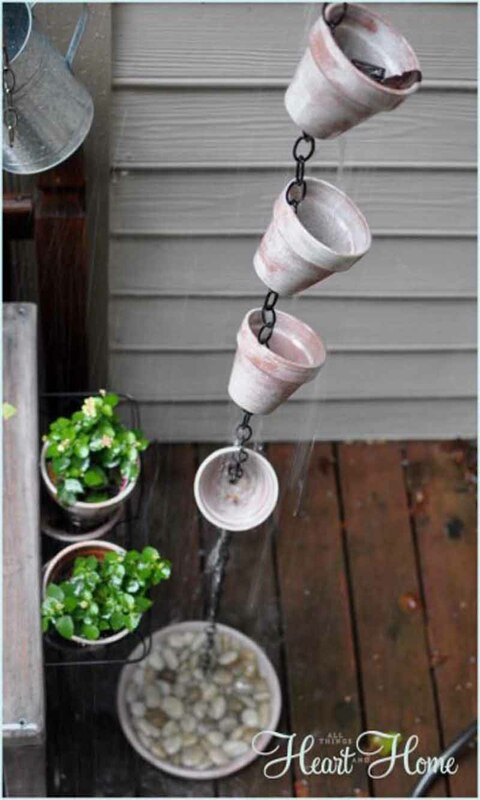 This gorgeous rain chain is more than just a decorative element; it makes a lovely, relaxing sound as well. Who doesn’t love the sight and sound of water in their front yard? See the full instructions on All Things Heart and Home. 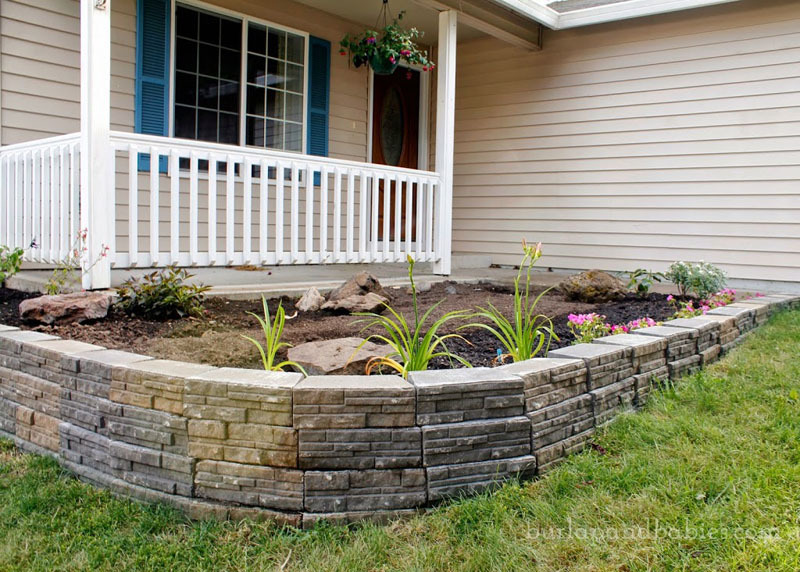 Building a retaining wall is one of the simplest ways to create more usable space while providing lasting appeal and sophistication. It’s also the perfect way to make your home look elevated. See the full instructions on A Crafted Passion.